Get outdoors at Gollinger Wasserfall and Untersberg. 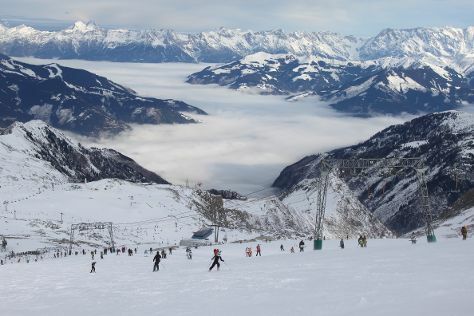 Step out of Salzburg with an excursion to Kitzsteinhorn in Zell am See--about 1h 45 min away. There's much more to do: explore the historical opulence of Fortress Hohensalzburg, admire the striking features of Salzburg Cathedral (Dom), wander the streets of Steingasse, and tour the pleasant surroundings at Mirabell Palace. For other places to visit, traveler tips, maps, and other tourist information, read our Salzburg vacation builder. If you are flying in from India, the closest major airports are Salzburg Airport, Linz Hörsching Airport and Innsbruck Airport. Expect a daytime high around 22°C in May, and nighttime lows around 10°C. Finish your sightseeing early on the 23rd (Tue) to allow enough time to travel back home.